We are pleased to announce the shortlist for the Climate-Smart Agriculture Project of the Year Award 2018! The award will provide recognition for outstanding projects which unite multiple stakeholders in the agriculture ecosystem with the shared goal of establishing or furthering CSA initiatives. The winner was announced at the Africa Climate-Smart Agriculture Summit taking place on 15-16 May in Nairobi, Kenya. The project has been running since 2015 and focuses on smallholder dairy farmers. The use of climate smart agriculture has enabled farmers sustainably produce and store fodder for their animals all year round leading to rising milk production per household. In Ngorika this resulted in a 50% year-on-year increase in milk production. Since its establishment the Inuka Africa project has sensitised over 5000 farmers on Climate Smart Agriculture and financially facilitated over 2000 of them to adopt the techniques. The project helped bridge the knowledge gap by sensitizing and training farmers on CSA. The project is coordinated by: Inuka Africa, Africa Conservation Tillage Network, Livestock Genetics Society of East Africa and CIC Insurance. The project ran from 2014 to 2017 targeting 100,000 farmers, many of whom were subsistence farmers. The project allowed these farmers to build their capacity in new crop technologies, crop protection, post-harvest and soils and farming as business. The project created warehouses in the villages and linked them to markets to increase the income of the farmers. The project is coordinated by: State department of agriculture, Kenya agricultural and livestock research organization, Equity bank and equity foundation, Agricultural marketing trust AGMARK, dealers. The project has previously been recognised by the World Economic Forum for its innovativeness and inclusiveness and has achieved a number of successes. The project has achieved numerous successes such as building a functional ICT system based on USSD technology and a live Dashboard enabling service delivery and monitoring of activities. Thanks to the project a digital profile of over 180,000 farmers has been built in Uganda, including the GPS locations of the farmer’s field. The project is inclusive and users are involved throughout the entire process. The project is coordinated by: CTA, EARS-E2M, eLEAF, aWhere, Mercy Corps, UCA & UNFFE, NARO, Ensibuuko Technologies and Agricultural Insurance Consortium (AIC) of Uganda. The project was first introduced in 2008 with the aim of equipping the farmers with skills and knowledge to sustainably manage their entities. The organisation has set up a revolving fund for the co-operatives and continued capacity building shall ensure the fund is functional. The aim is to continue cultivating a reading culture in the community. This shall address the challenges of early school drop outs due to prevailing traditional practices like female genital cutting, early marriages and polygamy. Nuru Kenya Agriculture program has impacted over 93,250, people directly in the region. This is through the over 23,400 farmers who have enrolled for the agricultural inputs package over the years since 2008. The program has also promoted climate smart practices in the region, such as afforestation, sustainable production and sustainable consumption. Farmers are adopting modern farming techniques and a diversified approach to livelihoods for resilience. The project is coordinated by: Government Line Ministries in Migori County, seed companies (including Seed Co., Kenya Seed; Western Seed; DowDuPont; Monsanto; Syngenta), fertiliser companies (including Yara East Africa, MEA and Toyota Tsusho) and The Kenya Commercial Bank. The project has been running for 1 year and 900 farmers have already registered onto the programme. Approximately 76.92% of those who benefit from the project live below Ksh. 1562 per month, the equivalent to US$15.60. The project targets the most vulnerable in the population whose lives are closely tied to the fragile ecosystem of Turkana desert. The key achievements of the project have been disaster preparedness and mitigation; providing livelihood options for refugees and host communities; and pasture and grass reseeding. Due to the project, climate and weather information has been disseminated to over 2100 beneficiaries and this has helped protect the farmers from flooding and drought. The project is coordinated by: Action Africa Help International(AAHI), Akigakin Akamu Infoserve CBO and German Corporation (GIZ). 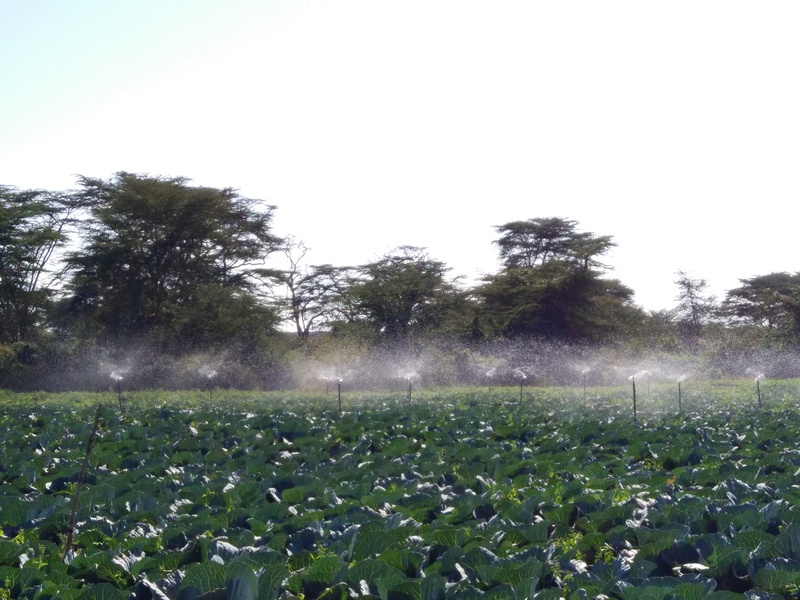 Thanks to the project, 5500 farmers have improved on-farm water productivity through changes in farm water use practices and uptake of smart water solutions. In addition, a mobile application has been developed to aid in the proper construction of water pans for rainwater harvesting. The project has united multiple stakeholders involved in smallholder irrigation and created partnerships between local and national level financial institutions. The project is coordinated by: SNV Netherlands Development Organization, Royal Tropical Institute (KIT), MetaMeta, Practical Foundation, Aqua For All. The project began in Latin America in 2014, as a collaborative initiative between CIAT, the World Bank and the Tropical Agricultural Research and Higher Education Center (CATIE). The first African project was launched in 2016, with 7 countries now benefiting from it: Senegal, Rwanda, Mozambique, Uganda, Kenya, Tanzania, Zambia and Zimbabwe. The CSA profiles provide a scientific framework to guide future CSA financing in Africa and de-risk investment in the sector. The project uses data and evidence-based reports to de-risk investment, by providing a detailed analysis of the most effective approaches to the sustained adoption of climate-smart agriculture. This project provides the data and evidence that African governments need to attract investment to this critical sector and to direct it to where it is most needed. The project is coordinated by the International Center for Tropical Agriculture (CIAT) and has received support from: the CGIAR Research Program on Climate Change, Agriculture and Food Security (CCAFS), the UK Government’s Department for International Development (DFID), The United States Agency for International Development (USAID) as well as the national governments and local partner organisations in the respective countries. The £2 million pilot initiative was designed in 2014 with the first loan engagement and technical assistance taking place in 2015. FICCF funding aims to support pilot initiatives using ‘returnable’ capital through a revolving fund model to address market failure and kick-start forward lending by MFIs to aggregators and smallholders along the selected value chains. The majority of actors are smallholder farmers and SMEs with no credit history, no collateral and limited (although diversified) resources. FICCF’s pilot is one examples of climate financing invested into resilient, subsistent value chains through existing MFIs to promote the transition to commercially-oriented climate smart agriculture. Combining financial inclusion with a climate/weather lens and increased market linkages is at the heart of the innovation. The most successful pilot has been sorghum, with loan finance disbursed by Rafiki MFI to 4000 farmers in the 2016 and 2017 seasons. The project is implemented by: DAI Europe, Matrix Development Consultants and International Institute for Sustainable Development. The project officially started in June 2015 and was publicly launched in March 2016, it will run until June 2019. In the coming months, the project will be expanding the dissemination of climate information through participatory training, in total the project will train over 65,000 farmers. The project is also preparing to pilot training and participatory evaluation of online climate information products and tools with national and local government over the next 6 months. 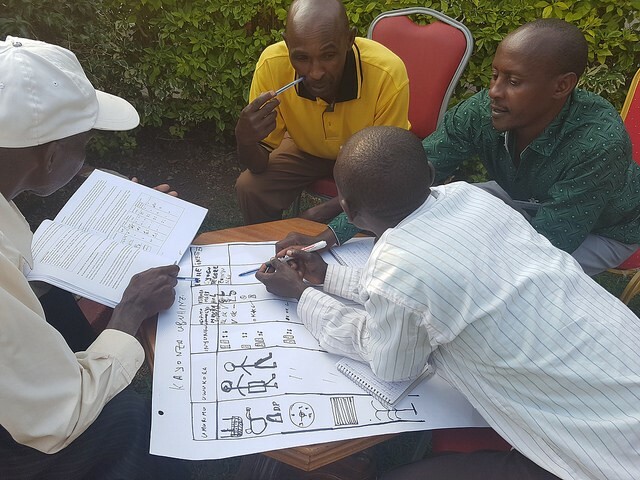 The project is helping rural communities in Rwanda adapt to a changing climate by providing them with climate information and the tools to use such information to support their agricultural management decisions. This project is supported by USAID/Rwanda and coordinated by the CGIAR Research Program on Climate Change, Agriculture and Food Security (CCAFS). Main partners include Meteo-Rwanda, MINAGRI, Rwanda Agriculture Board (RAB), International Centre for Tropical Agriculture (CIAT), International Livestock Research Institute (ILRI), World Agroforestry Centre (ICRAF), International Research Institute for Climate & Society (IRI) based at Columbia University and Reading University, Radio Huguka, DERN, N-Frnds, Caritas (Caritas Kibungo, Caritas Butare and Caritas Kibuye). The project has been running for 6 years and one of its key focuses is improving understanding of climate change and the importance of protecting the environment and adapting to potential threats. The project has disseminated basic knowledge about renewable energy and importance of protecting the environment to both teachers and students. In addition, the project involved afforestation and the separation and recycling of waste at the participating schools. Overcoming climate scepticism has been a key issue for the project, it has consistently shared knowledge to educate people and raise awareness of climate change. The project is implemented by: Ministry of environment, Forest Commission, Environmental Protection Agencies, Mother of All Nation Foundation and the Ghana Youth Environmental Movement. Nominations are now open for our Asia Innovator of the Year Award, you can nominate someone here.